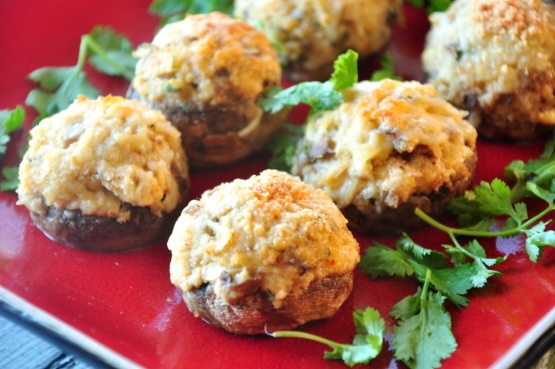 This page features delicious Crab Stuffed Mushrooms. It is a favorite restaurant recipe. If you choose NOT to top these mushrooms with Hollandaise sauce you can top them with your favorite cheese. They will be fabulous either way. I use Dungeness crab for this recipe. That's one thing that makes this a favorite restaurant recipe. 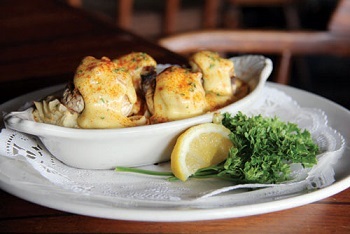 Topped with Hollandaise and served in a "boat." Preparation time: about 25-30 minutes. Recipe makes about 30 medium size stuffed mushrooms. Allowing 3 per person. Remember that you need to enhance this restaurant recipe with an excellent Hollandaise Sauce. That is the other ingredient that makes this a favorite restaurant recipe. 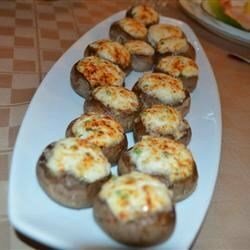 Enjoy your restaurant recipe for stuffed mushrooms. If you have time, click around the website. You’ll see other favorite restaurant recipes that have been used successfully for over three decades.